At Brian Hilton Motor Group, we give you real rewards simply for being a customer. The Brian Hilton Customer Advantage Program is designed to ensure that our most valued customers receive the very best customer service possible. Each Customer Advantage point you save equals the value of $1.00 to spend on Brian Hilton Servicing or Parts & Accessories. Simply inform our customer service team of your membership. Use your Advantage points at Recreational Car Accessories (RCA), Body & Paint or on Wheels, Tyres and Tint at Brian Hilton Motorsport. Contact the Customer Advantage Team to obtain your voucher. 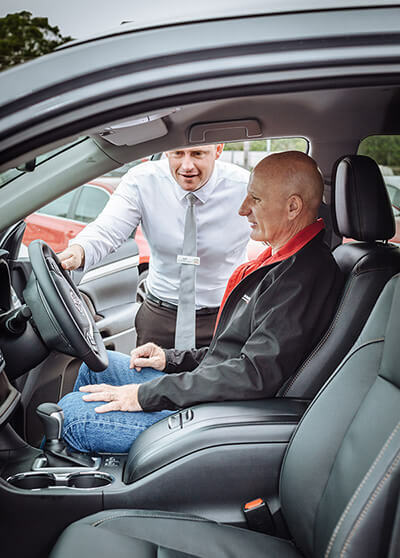 If you recommend a person or persons to our dealership which results in the purchase of a vehicle, we will reward you with 100 FREE Advantage points. Earning Advantage points is easy! Points are awarded at the rate of 7.5% of the purchase price after GST whenever you purchase at our Service or Parts & Accessories departments simply by stating you are a Customer Advantage member. You will automatically become a member when you purchase any vehicle from Brian Hilton Motor Group. * Alternatively complete the application form below or online at brianhilton.com.au. Yes. The expiration of your points will occur if your account has become inactive over a three year period. *Excluding Brian Hilton Clearance Cars. If you would like to join, membership applications can be found at the Sales, Service or Parts Departments, visit us online or by calling the Customer Advantage Team (02) 4328 2888.